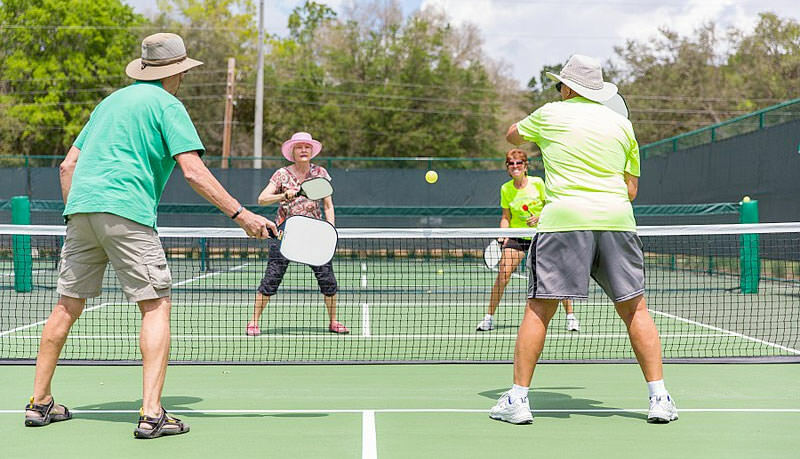 No longer just for retired folks, pickleball is really becoming an must-play paddle sport for people of all ages. 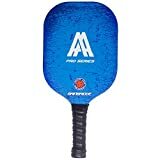 And as pickleball grows in popularity, there are more and better pickleball paddles hitting the market to help you play the game to the best of your ability. Are you using the correct paddle for improving your game? Quick Answer: What are the best pickleball paddles for the money right now? Having the right pickleball paddle might be enough to give you an edge over a closely matched player. Having the best paddle will also make you more comfortable and give you more enjoyment of the game. 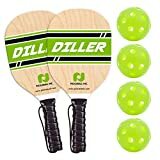 Where To Buy Cheap Pickleball Paddles? If you’re fairly new to the sport of pickleball, then you might not be sure which paddle is the best one for your playing style. Like all paddle sports, there are a few different options and styles out there, and getting the right paddle goes a long way in improving your game play. So, let us give you a few tips on what to look for when buying your first pickleball paddle. This might be the most important factor to consider, and of course it will vary by individual. 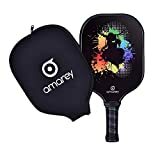 The weight range for a pickleball paddle is anywhere from around 6 to 14 ounces, with composite and graphite paddles weighing about 6 to 9 ounces. Lighter paddles might offer the player more power and drive, but the player may find a corresponding loss in control. The heavier paddle requires more strength, and extended play could lead to elbow strain or arm fatigue. The heavier paddle may give you more power to drive the ball, but will tire you more quickly before you build up arm strength. A lower to mid-weight paddle will probably help you most if you aren’t very strong yet, at around 7-8 1/2 ounces. The weight of your paddle determines how it feels, and how comfortable you feel when you are playing. If you don’t have an pre-existing injuries, you should choose the weight of your paddle based on your own fitness level and comfort. You need to choose a grip size which fits your own hand. If the grip is too large, the paddle could slip and cause you injury. Smaller grips will help you control the paddle more, giving you control and a better ability to spin. Larger grips can also provide greater stability. In order to measure your own grip size, you can measure your hand from the middle crease of your palm to the tip of your ring finger. If you don’t have a ruler, you can guess your grip size by your height. If you are 5’2″ or less, you should try a 4″ grip. If you are between 5’3″ and 5’8″, you will probably be ok with a 4 1/4″ grip. And if you are 5’9″ or taller, you should be fine with a 4 1/2″ grip. You can test the grip by sliding the index finger of your other hand between your fingertips and the heel of the hand gripping the paddle. Your finger should fit snugly between the two without having to move your fingers. The grip might be too small if you need to move your fingers to fit your index finger between. Conversely, the grip might be too large if there is space between your index finger and your other fingers or the heel of your hand. Don’t just go with the first paddle you think will work. Try out a few paddles, and choose the one that is most comfortable. If you cannot decide between two sizes that are both fairly comfortable, it is safest to go with the smaller one. Pickleball paddles are normally made from one of three different materials: wood, composite or graphite. Wood paddles are heavier, and they are the least expensive. If you are trying out pickleball and not sure how much of a commitment you want to make, a wooden paddle will probably be the least expensive option. 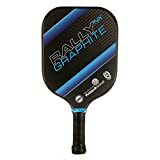 Graphite paddles are lighter than other kinds of paddles, and can be very powerful. However, they are also more expensive. Paddles made of composite materials come in a variety of weights and prices, and they are in the middle on price too. Some paddles are made with fiberglass, and weigh a little more than graphite paddles. Some people think these have more control and finesse than graphite paddles. There are also paddles made from polymer plastic. While they don’t perform as well as paddles made of other materials, they are incredibly cheap so places like schools buy them for students. A paddle which is used heavily probably won’t last longer than a year, but a paddle which is used a couple of times a week for normal play will probably last about three years. Wooden paddles are sturdy and can last several years. If you are already suffering from arthritis or if you already have an injury that affects your hand, elbow or shoulder, you should choose a paddle that is in the lower mid-range, between 7.3 and 8.4 ounces. You will have enough weight in your paddle for stability and to absorb shock, but it will hopefully be light enough to not work your arm too hard. If you choose a paddle that is too heavy, you could exacerbate an already existing condition. Most wooden paddles will simply be too heavy. On the other hand, if you choose a paddle which is too light, you will have to use significant energy and swing every time you make contact with the ball. Price may be a major consideration for you, especially if you don’t plan on playing a lot. A wood pickleball paddle can cost between $13 and $40, while a graphite paddle can cost between about $60 and $130. The composite paddles range from around $45 to $125. Some stores will offer a guarantee or promise to return if your paddle doesn’t work out for you, while other places offer price matching. Take advantage of any offers to find the best paddle for yourself. For players with close neighbors, there are some brands which can provide a quieter game. Wooden paddles are also quieter. Paddles are not gender-specific, so men and women can choose any paddle equally. A longer handle can be more comfortable for people who used to play tennis, and it can also provide more reach and add leverage on certain kinds of plays. If it is possible to do so, try playing with a variety of pickleball paddles. Ask your friends if you can play with theirs for a little while. What feels comfortable when you are shopping might feel completely different when you are actually playing. 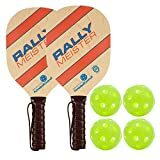 If you’re on a tight budget and need to shop for something affordable, then there are few places online where you can typically find pickleball paddles to fit most any budget. We recommend that you compare prices at the retailers above in order to find the best price on the paddle that you’re considering buying.